Sometimes you really do have to start at a beginning level of science to truly understand the big picture of climate change. This may not seem like a big deal either, but it is. So many Americans are confused about what is science, especially when it comes to climate change. A broad disconnect exists between scientists nearly accepting climate change at over 95% and the polarized view of Americas on this subject. As a child, I did not do well at science in school. I found the concepts to be hard. If you would have told me as a child that I would be speaking about science now as a park ranger and a climate change communicator, I would not have believed you. Dr. Chambers wanted me to add these examples of how it is easier to disprove than prove. In very complex science like earth science, she wrote, “It can be relatively easy to show at the 95% confidence level that something is NOT true (I.e., the Sun’s variations do not account for the recent warming); it is harder to show at the same level of confidence that something IS true. For example, CO2 certainly has an effect on warming, but so do many feedbacks dependent on CO2, as well as volcanoes, aerosols, the Sun (in a small way), etc.” A colleague of hers calls it, “Unscrambling the egg.” Chambers stated is a big challenge for scientists to give a high certainty to each factor. So Brian, what does this have to do with climate change? Besides the public and my previous misconception about “science proves,” there are so many other misconceptions about science. When I chat with people who are dismissive of climate change, one of their biggest misconceptions is their understanding of the word THEORY. The key to Science, especially climate science, is understanding what is a THEORY. Critics of climate change, such as Newt Gingrich, refer to climate change as “just a theory.” As if a theory is a flimsy item that is easily dismissed. However scientists define the word theory different than the common street definition. As Carole explained to me, the common use of the word theory is a ‘best guess’ or idea. You may have a theory (a guess or belief) that big foot exists. However, unless it is supported by a large body of evidence (live animals, DNA samples, etc), scientists will not support a scientific theory that bigfoot exists. According to NASA, there are multiple lines of evidence pointing to the existence of human caused climate change, such as sea leve rise, global temperature rise, warming oceans, declining sea ice, glacial retreat, increase in extreme weather events, and ocean acidifciation. Carole also informed me that “scientists have a more detailed understanding of climate change than the physics of gravity.” Climate change is a very strongly supported theory of science. Unlike bigfoot or Newt Gingich’s understanding, it is not a belief, speculation or an just an idea. Even more, as Carole tells her students, “The goal of science is to build THEORIES.” This is a huge and vital statement because I recently had a critic of climate change confront me about this. 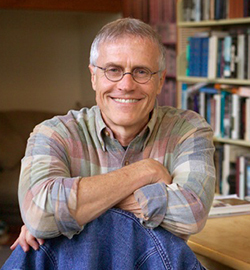 He was critical of climate science because the scientists, “borrow from each other’s work. I am not hearing anything original.” Scientists building on each other’s work is not a weakness of science, it is a strength. This is how science progresses and keeps improving upon its ability to explain our world. Furthermore, if a theory cannot generate new hypotheses (a possible explanation for a set of observations) and provide basis for new research, than it is generally not considered to be a good theory. Theories are the building blocks of science, just as bricks are a vital material for someone building a house. What is even more amazing from what I saw from Carole’s powerpoint is that I and the general public have an upsidedown view of the Hierarchy of Scientific Explanation. What really surprised me from Carole’s teachings about science is “there is no level of scientific certainty higher than that of Theory!! !” This is because theories are “supported by a large body of evidence and many observations.” As mentioned in the previous section, this makes human caused climate change change an incredibly strong theory because there is an overwhelming amount of evidence and many observations to support it. Science also makes discoveries that enables us to live better lives. Uncertainty in science is not a weakness of science, but it is a strength. The theories, hypothesis, laws, and facts are not set in stone. As theories are tested independently by other scientists and new evidence emerges, theories can be rejected, modified or accepted. 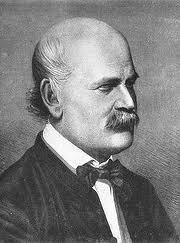 A great example why science should not be set in stone is the story of Hungarian Doctor Ignaz Semmelweis in the 1850s. Dr. Semmelweis noticed too many mothers and children dying in his medical clinic. His hypothesis was these deaths could be reduced by the medical staff washing their hands before handling patients, especially if medical staff came immediately from handling bodies at the adjacent morgue. He ordered the staff to wash their hands. The result was an immediate reduction of fatal puerperal fever from up over 10% of patients to 1 to 2%. However, the scientific community responded with hostility because the accepted thought was an imbalance of “humors” within the body caused disease. Dr. Semmelweis was shunned by other doctors, and he lost his job at the hospital where he worked and he soon died afterwards in insane asylum. However, Semmelweis was vindicated after his death when Louis Pasteur developed the germ theory of disease which provided a theoretical explanation for Semmelweis’ findings. “If (doubters of climate change) say the science is uncertain, you tell them that if the want certainty, it is called mathematics. science is uncertain, it never knows the final answer. that is its gift, that is why we keep making new discoveries, discoveries that have probably saved many lives in any room. we still do not fully understand the physics of gravity—much uncertainty there—but that doesn’t mean we jump out of skyscrapers. The competitive nature of science has only strengthened the theory of climate change. Even the top scientists in America are still competitive about looking to find some way disprove climate change. However, the vast amount of evidence climate science has made it impossible so far. Dr. Ralph Cicerone, President of the US Academy of Science, is one of the brightest and top scientific minds in the country. His research focused on atmospheric chemistry, the radiative forcing of climate change due to trace gases, and the sources of atmospheric methane, nitrous oxide and methyl halide gases. “I continue to think is there anything wrong with this picture (of climate change science) because scientists become rich and famous not by agreeing with everyone else. They become recognized by doing something different by showing that everyone else is wrong and doing something new, so I think about this all the time. In his 35 years as a scientist, if Dr. Ralph Cicerone found nothing wrong with the picture of the science of climate change, what makes you think you or Senator James Inhofe can easily dismiss it? So what have I learned about science so far? As I follow my passion to be a climate change communicator, it also a fascinating journey to discover ‘what is science’ so I can have a better understanding of climate change. 2. Science never proves. Science explains. 3. Proof requires 100% certainty, which science really never provides. 4. However, science can disprove things. 5. Science always leaves room for some other explanation. 7. This is completely different than the common definition of theory, which is a ‘best guess,’ ‘hunch’ or idea. 8. Multiple lines of evidence point to the existence of human caused climate change, which makes climate change a very strong scientific theory. Climate change is not some hunch or best guess. 9. No level of scientific certainty is higher than Theory. 10. The goal of science is to build THEORIES. 11. Uncertainty in science is not a weakness, but a strength. Uncertainty, allows room for stronger and more useful explanations to emerge that can save lives. 12. Scientists are extremely competitive. Try as they might, scientists have not been able to disprove that human are causing climate change. My hope is that I will have a better grasp of science as I communicate to the public about climate change. It seems like when scientists hand over their complex findings and conclusions about climate change to communicators like me, it can be as frightening for them as a father handing over the keys of his prized Porsche to his 16 year old child so they can hang out with their friends. I have total respect of scientists’ dedicated and detailed work to provide the public the best explanation of what is happening to our global climate. To me, it seems like the best way to honor their work is to convey science as accurately as I can. This entry was posted in Uncategorized on May 3, 2012 by bettling.